Jet Pumps for pumping use a liquid as the operating medium. NCI jet eductors also known as jet pumps, utilize the kinetic energy of one liquid to cause the flow of another. NCI jet pumps for pumping operate on the basic principles of flow dynamics. This involves taking a high pressure motive stream and accelerating it through a tapered nozzle to increase the velocity of the fluid (gas or liquid) that is put through the nozzle. 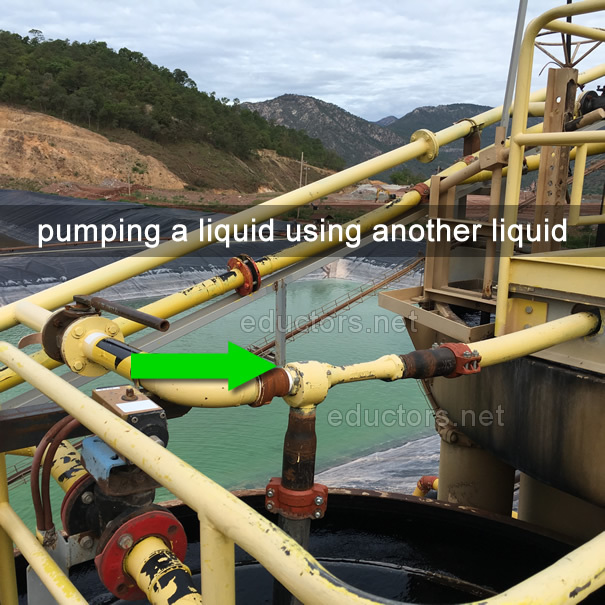 This fluid is then carried on through a secondary chamber where the friction between the molecules of it and a secondary fluid (generally referred to as the suction fluid) causes this fluid to be pumped. These fluids are intimately mixed together and discharged from the jet pump. NCI (uniquely) has more than 50 years of experience with jet pumps and in tank mixing applications. Our tank mixing experience covers both tank mixing eductors and propeller type side entry mixers involving tanks in sizes up to one million barrel (42 million gallons) capacity. Put your trust into the Northeast Controls jet pumps group for a job done right the first time. Jet Pumps are in stock from 1/2″ up to 3″ sizes. Jet Pumps are stocked in Carbon Steel, 316SS and Bronze. 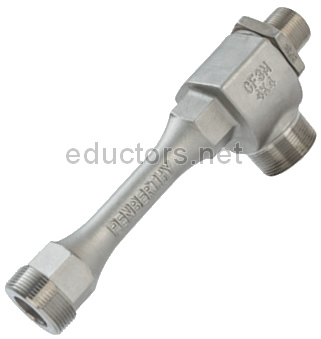 Tanks Eductors are stocked in sizes from 3/8″ up to 3″ in both Carbon Steel and 316SS. We also stock tank eductors in Polypropylene & PVDF (KYNAR) materials in sizes from 1/4″ thru 1-1/2″.